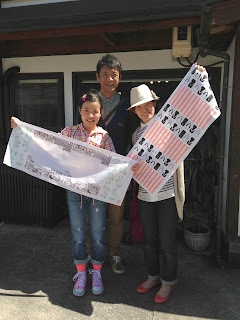 We met Sungjin from Korea who is traveling alone in Gujo! 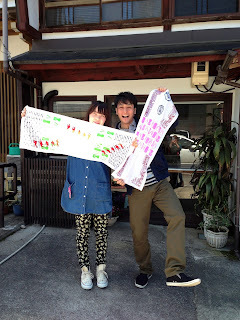 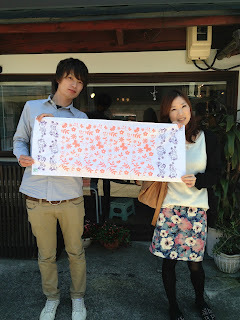 I met him at Ｃafe エバナタウ and had a dinner together at まちやど by a series of happy coincidences! 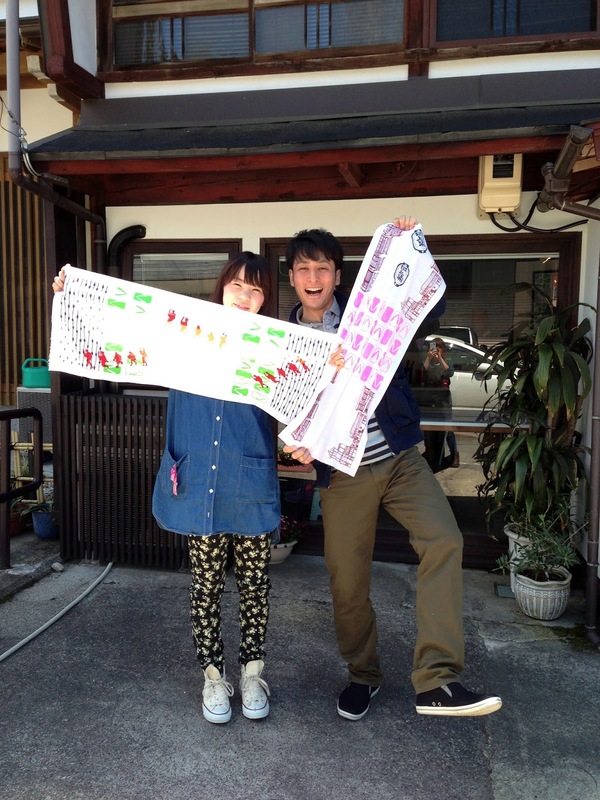 Traveling is awesome,eh! 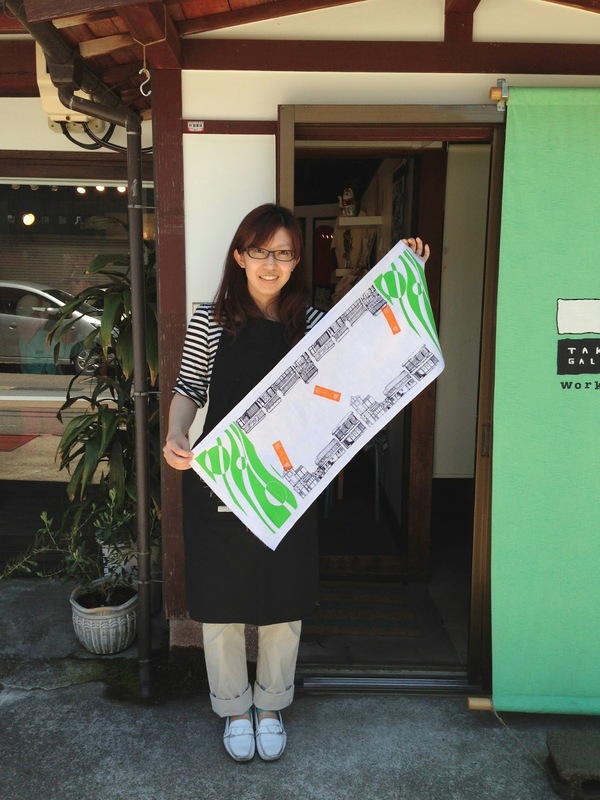 We are a short distance back from central,but there are good spots in the back street! 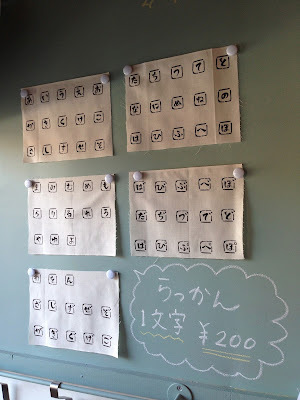 Do you know Dagashiya? 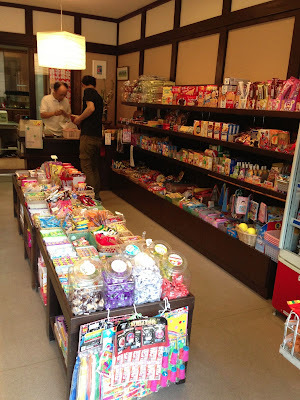 Dagashiya is a cheap sweets store! You can usually buy Dagashi for 10yen to 100yen! 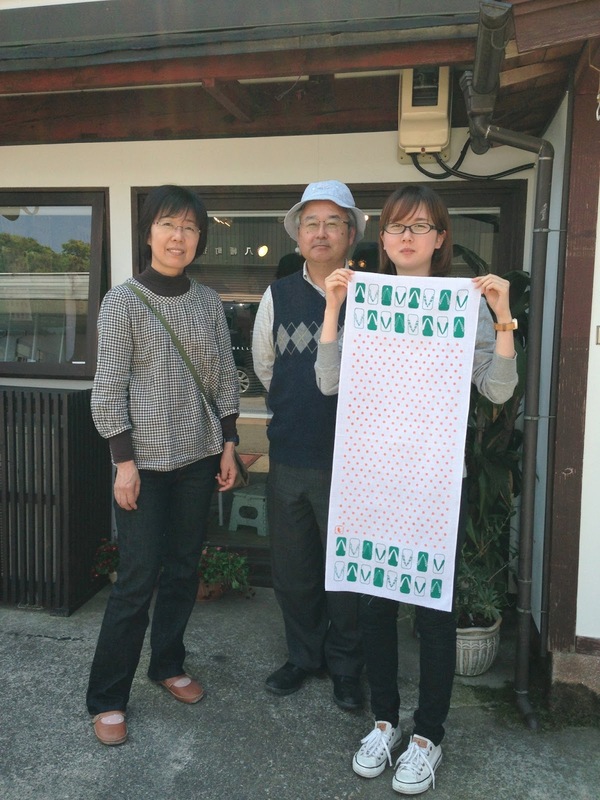 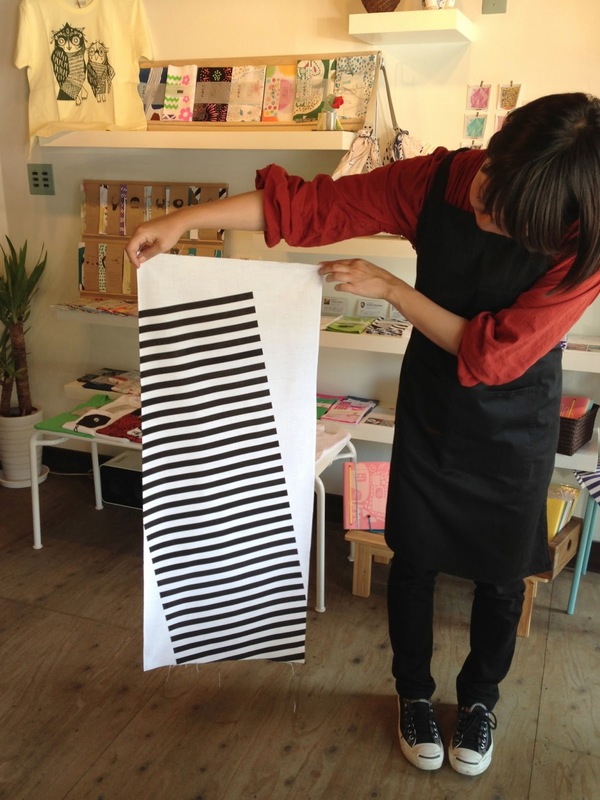 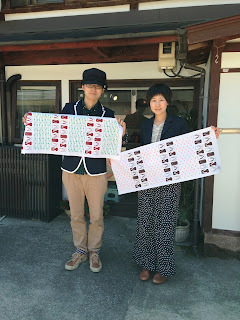 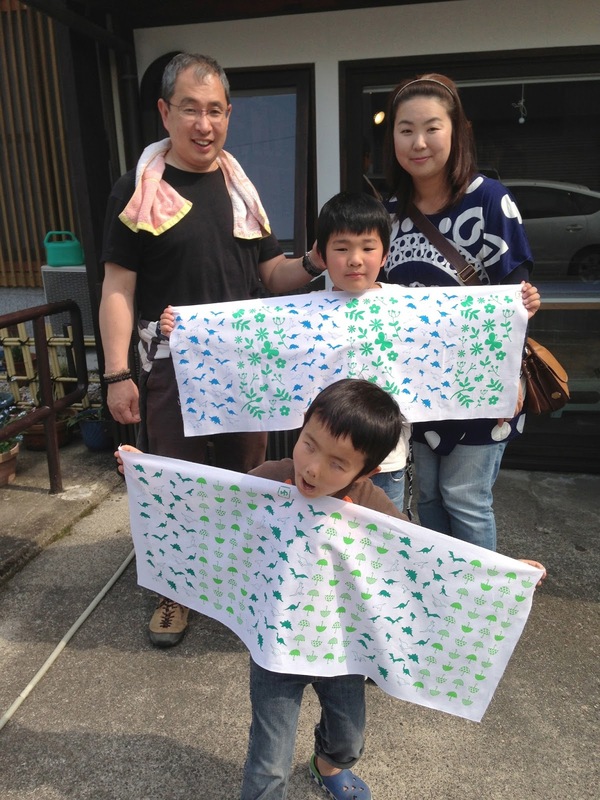 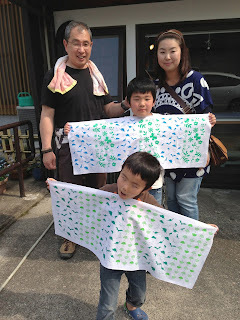 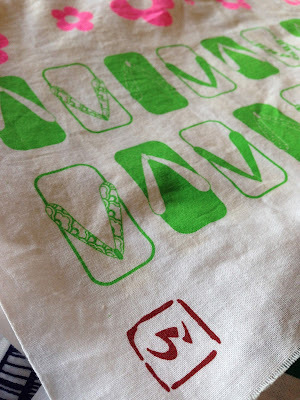 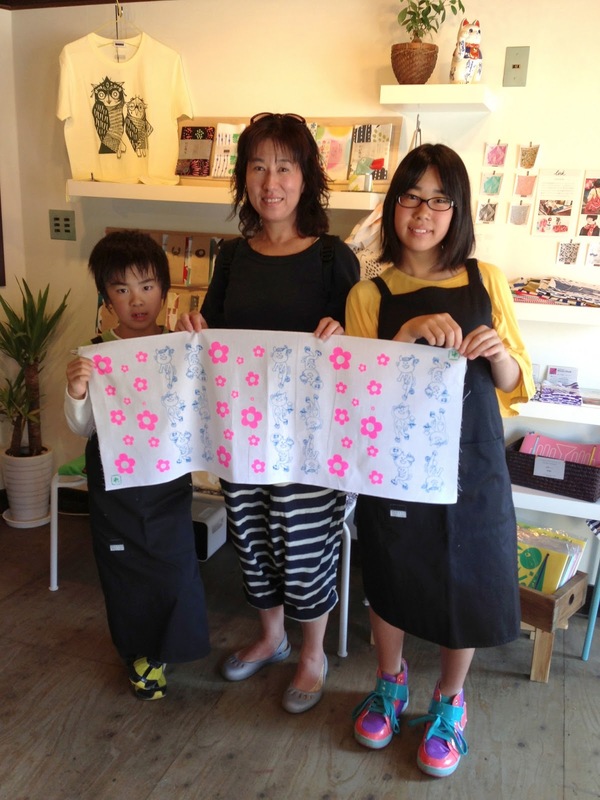 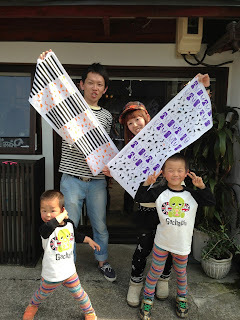 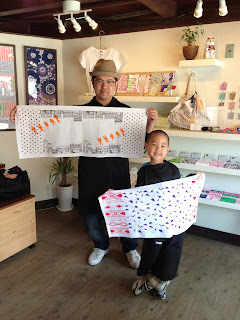 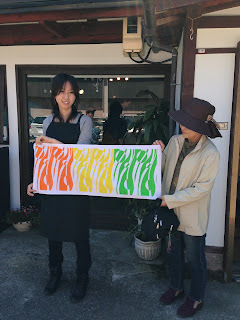 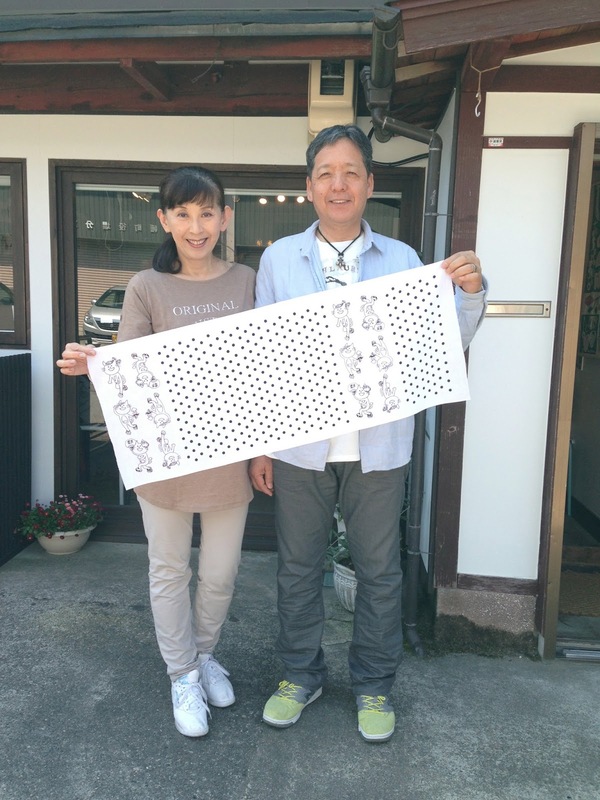 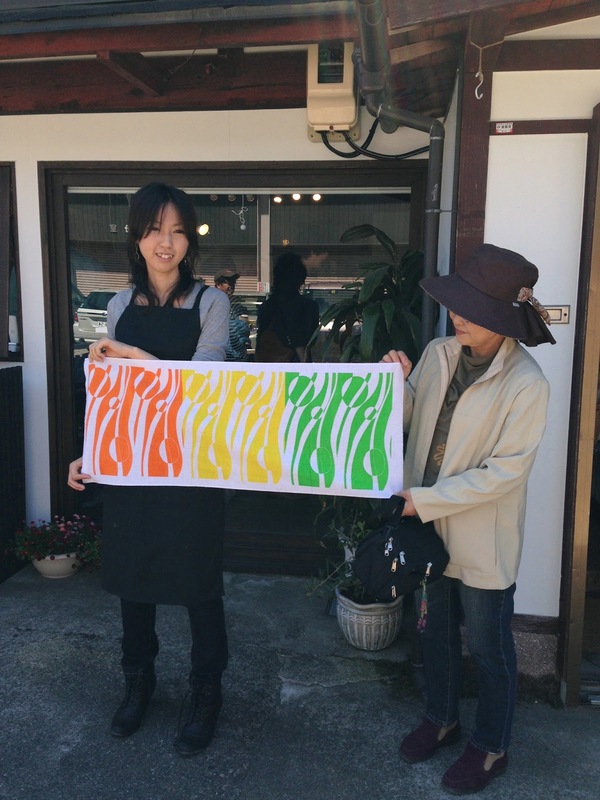 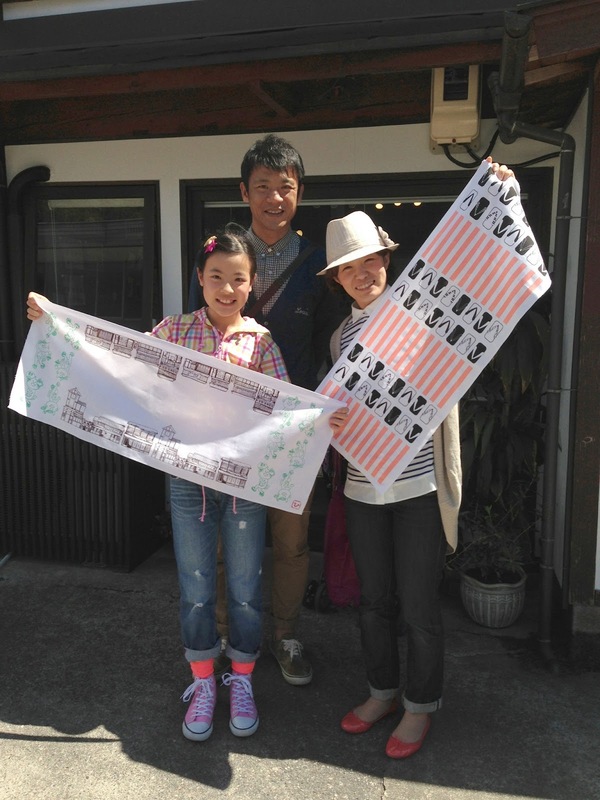 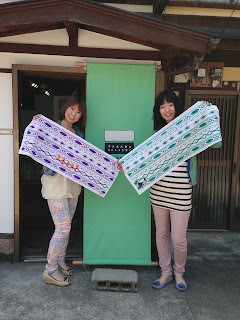 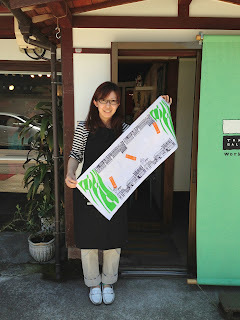 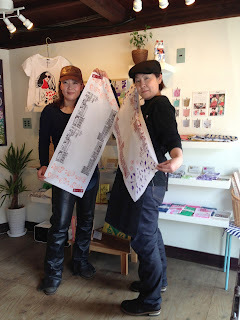 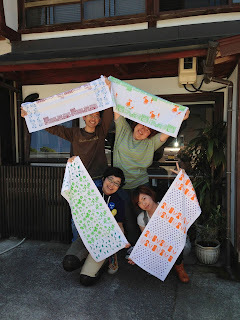 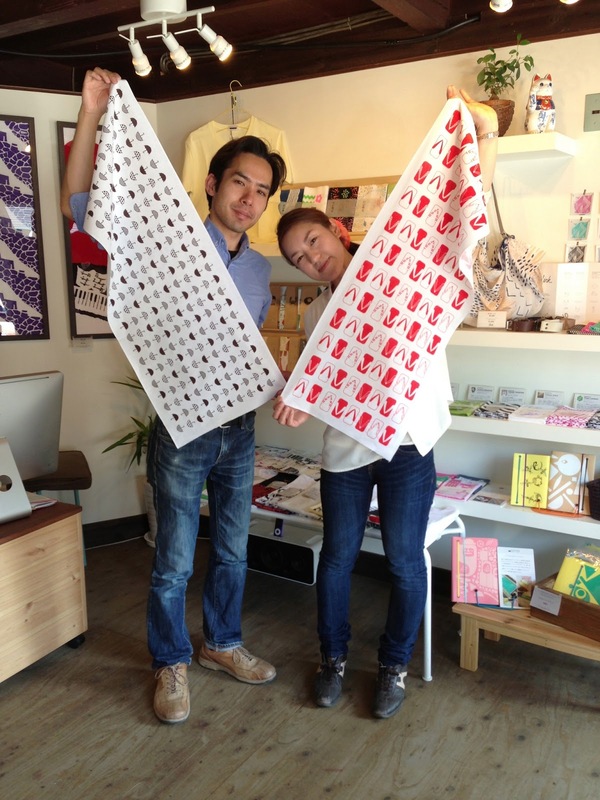 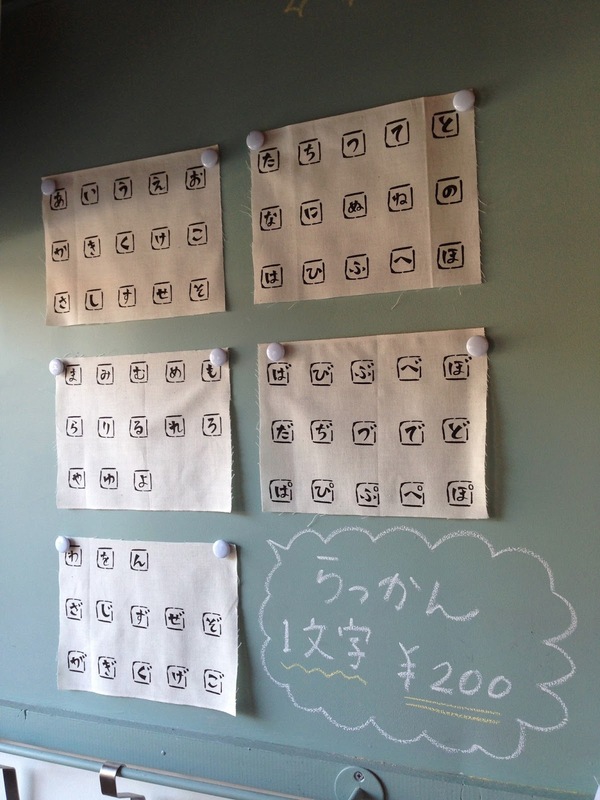 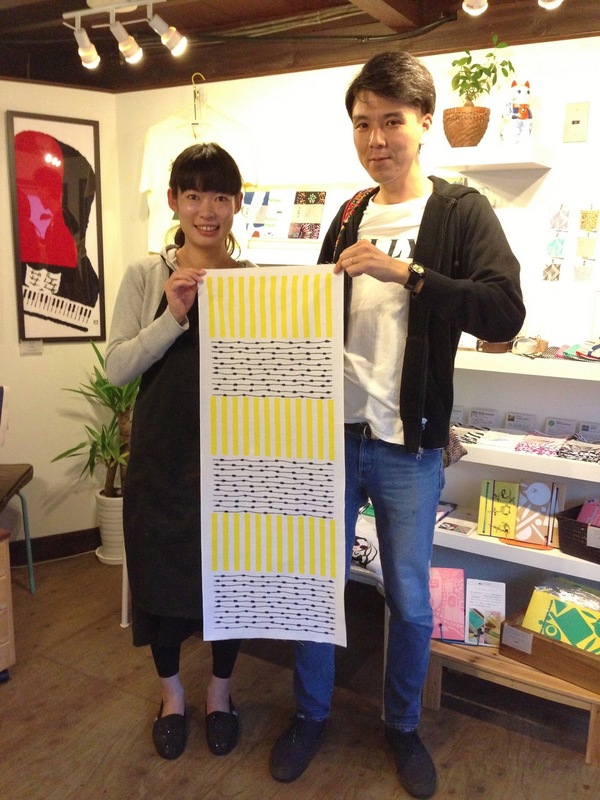 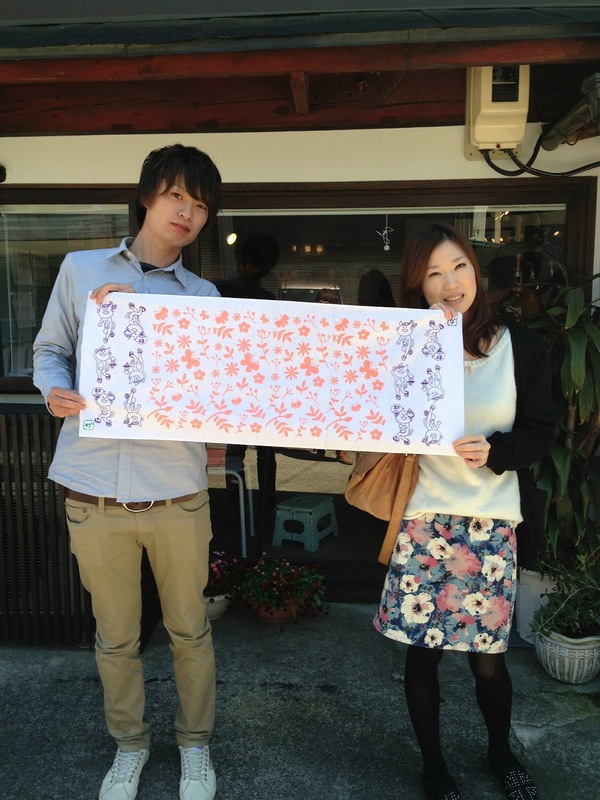 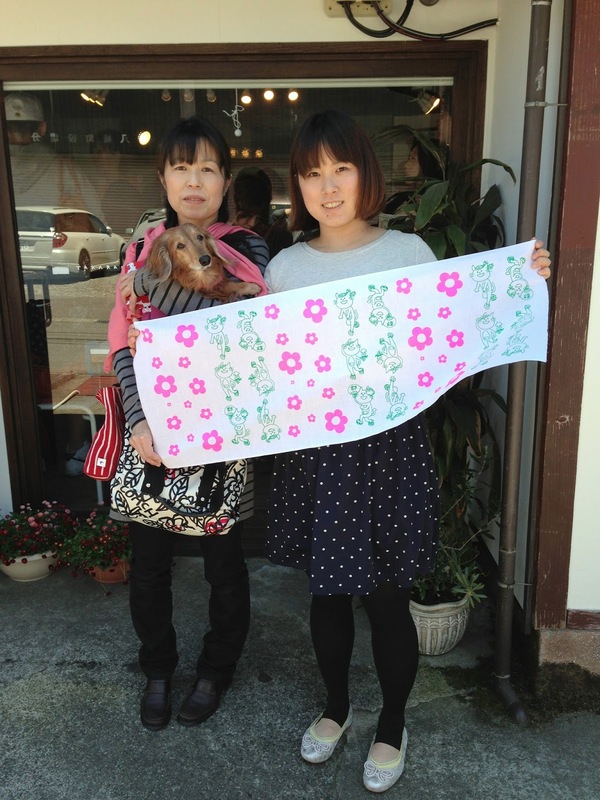 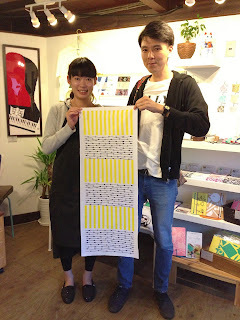 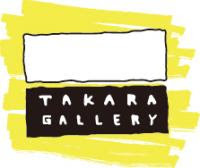 You can print your signature on your tenugui! 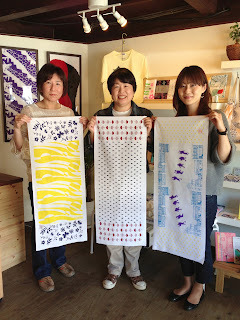 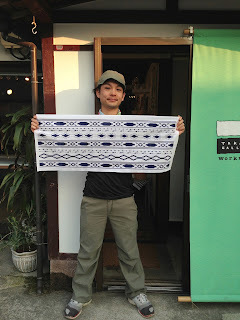 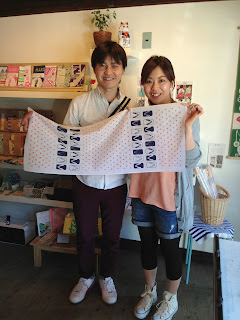 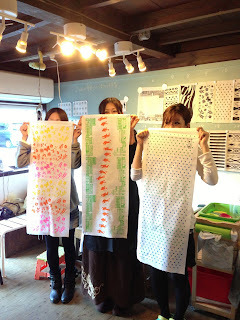 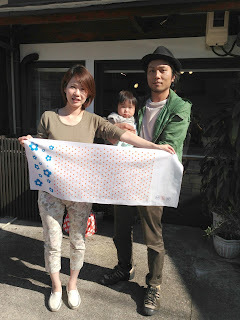 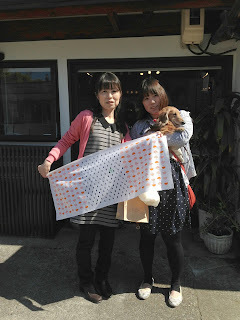 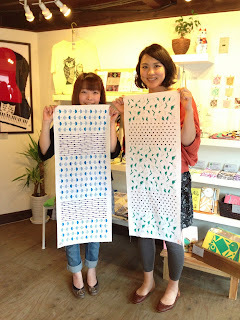 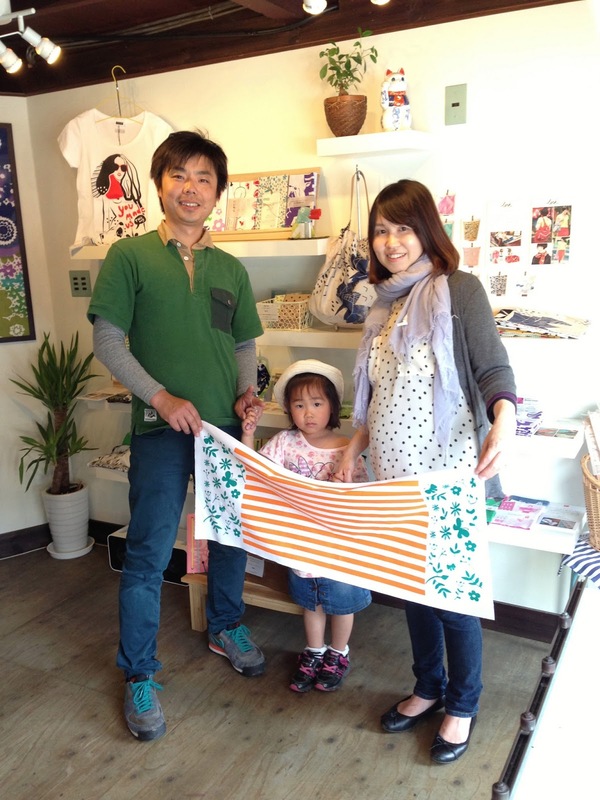 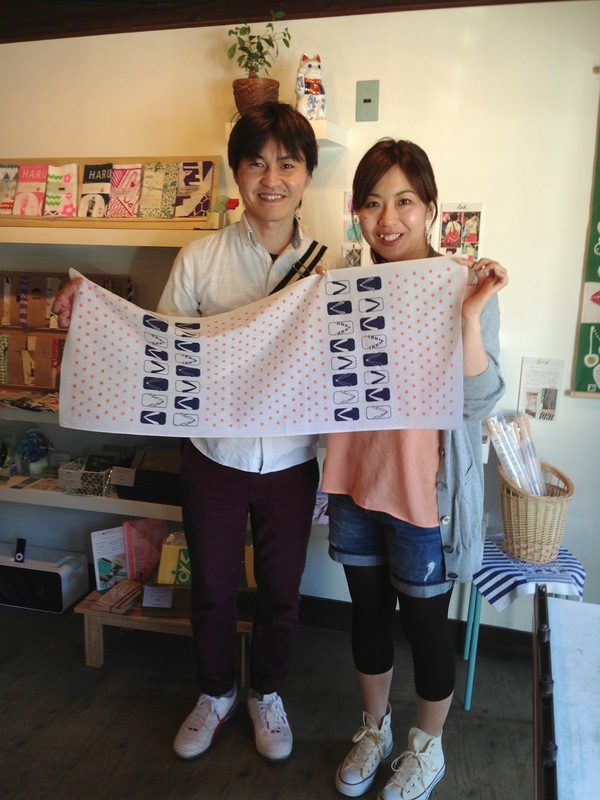 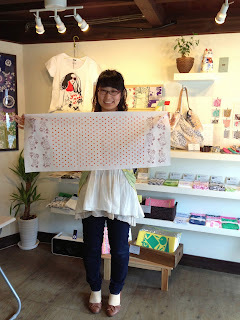 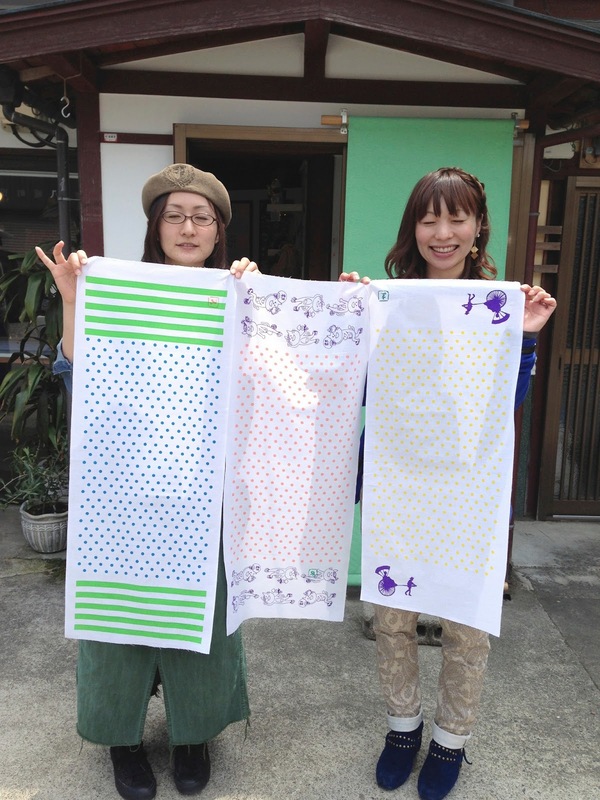 Your tenugui will get more and more special to you!